Most of us regard tiramisu as the quintessential Italian dessert. And yet it only appears in cookbooks as an official recipe from the 1960s onwards, so it seems to be a relatively recent creation. Still, the classic tiramisu, meaning 'pick-me-up' or 'lift-me-up', is something that's rarely messed with apart from a few subtle changes. And with good reason. It's sponge ladyfingers, dipped in coffee and layered with egg yolks, egg whites, cream and mascarpone cheese, is a delicious concoction. Most of us will probably have sugar, eggs and cocoa hanging around in the cupboard, and if you've got these ingredients handy, you're not far off having everything you need. Get a couple of packets of long, sponge ladyfingers or Pavesini cookies, which make sponge nice and springy when dipped in the right amount of liquid. Make sure you have some mascarpone (you can also use ricotta if you like a slightly lighter tasting cream), and some strong coffee. And then you'll just need a bit of chocolate. Try bitter-sweet cocoa powder or grated chocolate. 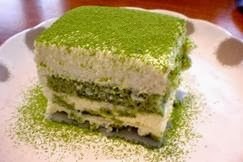 If you feel like trying something a little different with your tiramisu, you could try a matcha version, where you use powdered Japanese green tea instead of cocoa powder. Or maybe use hazelnuts to decorate the top. You could even try a strawberry version for sunnier days – just marinate your strawberries in a bit of liqueur and sugar, and then add the fruit to the top of the tiramisu just before you serve. So here's how to make your delicious tiramisu. Pour your strong coffee into a shallow bowl. 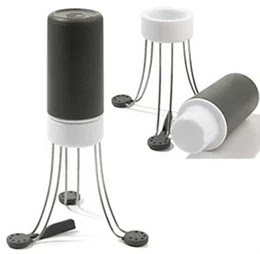 Dip one side of your ladyfingers into the coffee and then place them side by side in a single layer and cover the base of your container – a Pyrex dish or a springform cake pan. If you're using cookies, break them into the right length and create your layer. Separate three of your eggs and whisk the yolks with two tubs of mascarpone and three quarters of a cup of sugar. Splash in a bit of rum or sweet wine at this point if you fancy a bit of a kick. Whisk your egg whites in a separate bowl and fold them into the mascarpone, making a smooth, airy cream. Place a thick layer roughly the same height as your ladyfingers, over the top of the sponge and smooth it down. 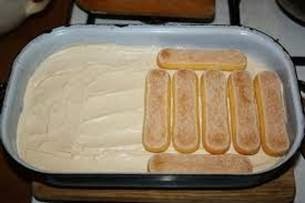 Add another layer of dipped ladyfingers and then keep layering. Finish with a layer of mascarpone. Chill overnight until everything becomes spongy. Before serving, top your tiramisu with sifted cocoa powder or your grated chocolate and you're ready to wow the crowds with your authentic tiramisu! So there's how to make an authentic Italian coffee tiramisu. A simple but tasty dessert. Now all you need to worry about is the main course! This is a commissioned post written by a guest blogger. Any views expressed do not necessarily reflect the views on A Glug of Oil.